Water scarcity is a very real problem for people residing in rural parts of Africa and elsewhere. Even today, millions live without proper access to clean water, having to walk several miles each day to collect safe, drinking water. 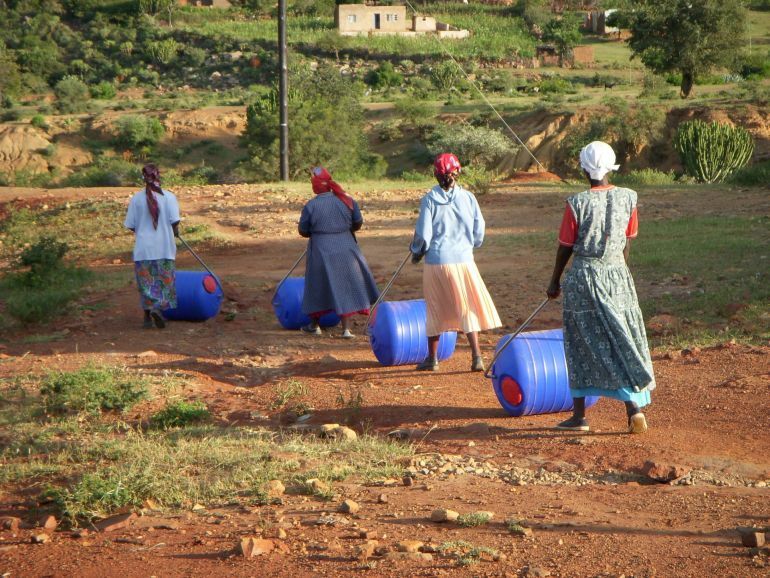 Originally developed back in 1991, the Hippo Water Roller makes the task of carrying large amounts of water over long distance a lot easier. 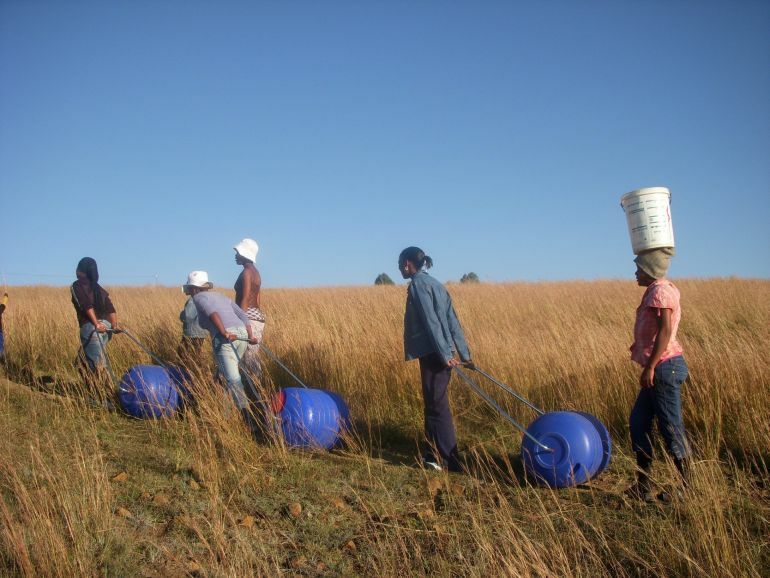 The innovative technology was conceived by South Africans Johan Jonker and Pettie Petzer, both of whom grew up in farms where water shortage was a perennial problem. 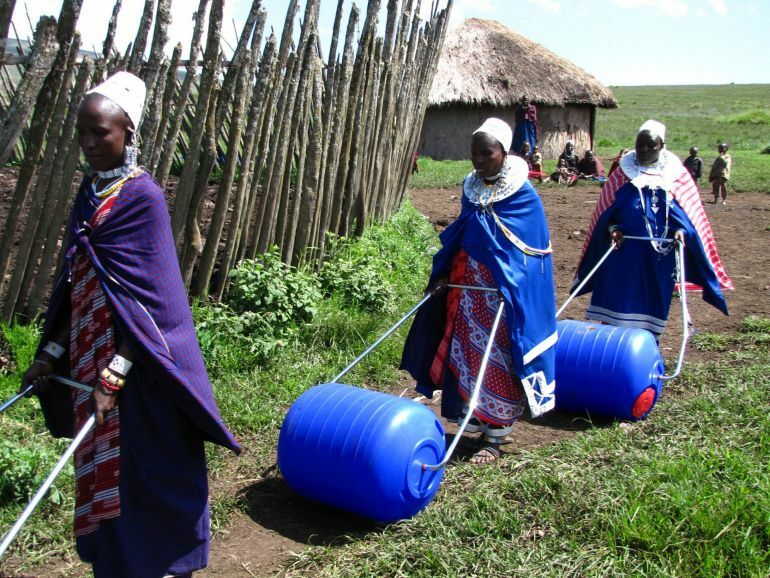 Capable of holding up to 90 liters (around 24 gallons) of liquid, this ingenious contraption makes it possible for children, women and even elderly people to carry huge amounts of water by simply rolling it on the ground. 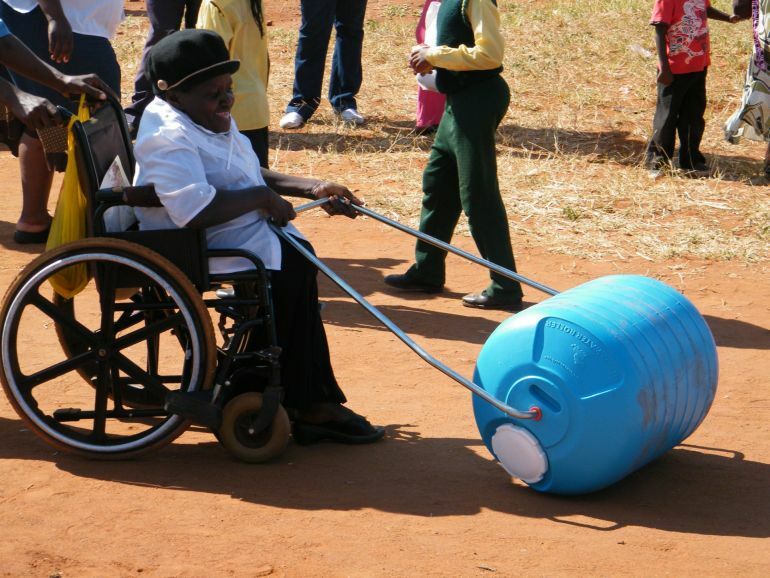 The Hippo Water Roller has enough room to hold nearly five times more water than a regular bucket. According to the developers, the technology is intended to reduce time spent daily collecting water, thus allowing users to focus on other responsibilities, including education, food production and other household chores. Furthermore, the device helps prevent soil erosion, while also creating clear-cut pathways. It is built specifically for use in rough, rural surroundings, and has a lifespan of around seven years. Once damaged, however, the plastic barrel can be recycled into a number of different things, such as storage and waste bins, tubs for bathing small children and washing clothes, flower pots as well as watering and feeding troughs for pets. n our continued engagements with municipalities, we have observed that there are still some communities located very far from water sources especially in the rural areas and informal settlements. In these communities many people carry water to their homes often over long distances, pay heavy fees for the transportation and this has proved to be time consuming especially to the girl child. A personal appeal is made to your organization to actively support a national project which will positively change the lives of millions of our fellow South Africans. 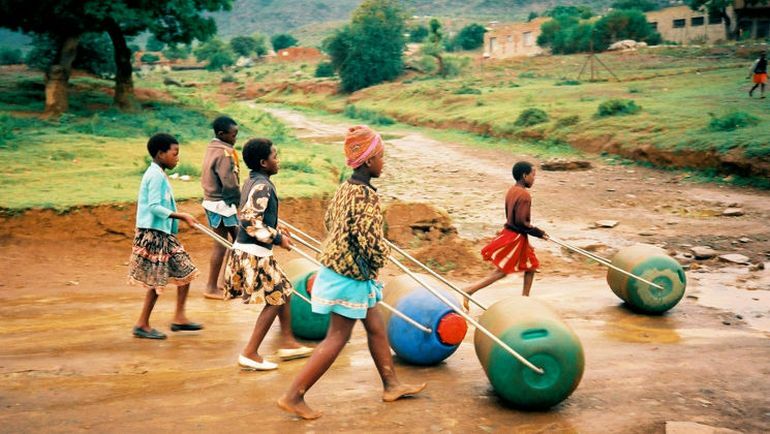 Since it was first developed in the early 1990s, the Hippo Water Roller has been used in more than 20 countries across the African continent, serving up to 300,000 people. To learn more about this innovative contraption, click here.